Has everyone survived the crazy weekend? We didn't have any shopping to do because I make a point to buy and wrap all the gifts we are giving before Thanksgiving ever arrives... I'm one of those people that do much better with that chunk of stress completely off my plate for the holiday season, so I force myself into high motivation and get it done in early November. I just have to. And with that done, I'm taking the next 30 days (give or take) to buckle down a few areas of my heart that have been getting shoved into a corner over the last few months. Taking time to focus on daily gratitude for my overwhelming blessings, repair some things I've broken with stupid choices, work through forgiveness for disappointment and heart hurts. Allowing myself to experience and process loss in some relationships that have drifted away and giving God the guilt that perhaps if I'd only done_____ or said_____ or not said______... that sort of thing. Learning to let go and say a pure thank you for what I hold in my hands on this day. And of course I'll be focusing on this season. Has it hit anyone else with it's oncoming speed or has that only been me? I feel like I need to pull over to the side of the holiday highway and catch my breath! 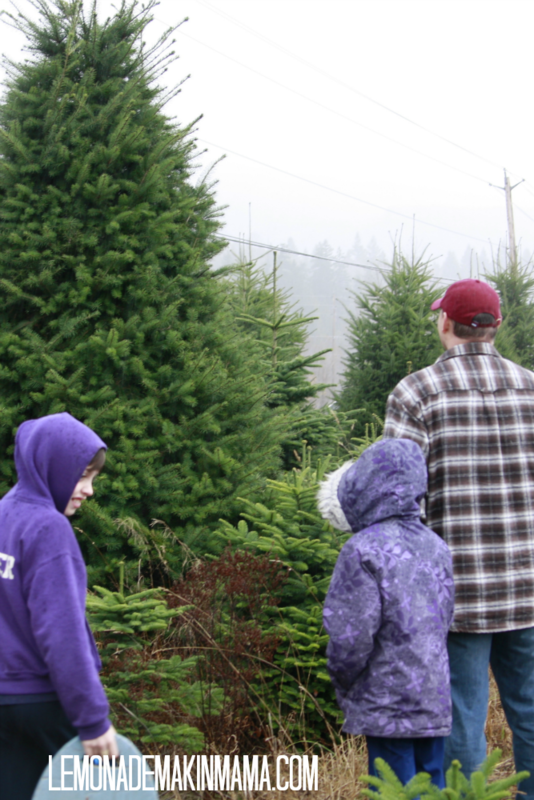 We picked out our tree this weekend in the pouring rain. And when I say pouring rain... I mean it was a downpour! By the end of it, I had to wring out my hair before getting into the car. My man stood in front of this gigantic tree and I know he was considering... It was his turn to pick this year and all I asked was for a small tree. We have such a tiny living room space that a large tree+crazy growing puppy= disaster. In the end... I spotted this baby tree and we all fell in love with it's sweet shape and size. However... we didn't anticipate the fact that it was infested with small spiders. People, you can not begin to know how afraid I am of spiders. They make me physically shudder. My man was very sweet and has been killing them for days. I have nearly thrown the tree outside, but it appears to be under control now. We spent the rest of the weekend decking the halls and dealing with this little man who finally came around and smiled for me in this moment. It was traumatic and hard most of the weekend and we also bought a parenting book while at the bookstore. Ha! Sometimes it's far more than Adrain and I can handle. Thankfully, never more than God can handle. That said, we are rethinking many things with this child, his meds, etc. I didn't mean for this to be a heavy post... but it was a mixed weekend for sure and I'm nothing if not real here on my blog. Perhaps that's why this year I've swathed my surroundings with pops of bright, happy colors. I felt inspired by vintage ornaments (which I shall collect for the rest of my natural born days) and I've found several spots for them, which I'll show soon. And finally I have to share the secret to the easiest craft project I've ever done in my entire life- this inexpensive ornament wreath. I already had the ornaments, but you'll want to purchase quite a few. (Mine were a cheapie box from Target) You will need a wire coat hanger, a pair of wire cutters, and ribbon bow. That's it! Untwist the top of the coat hanger to open it up. I snipped off the place where it was all twisted so I'd have a smooth starting point and curved the coat hanger into a circle shape. At this point you may or may not need to hot glue the tops of the ornaments (the hanger part) down. My ornaments were plastic so I didn't worry about it. String your ornaments onto the coat hanger by the tops one by one until you have a full string, then simply twist the clothes hanger around itself until it's secure at the top. Snip off any excess and tie a pretty bow on top. Hey Sweet Sasha! I am over-impressed that you have your Christmas shopping done already! I wish I could do that, but I am not a good gift-giver in the sense that I can't wrap my brain around what to get everyone -- and therefore, it takes a while for me to get my act together. I have a few boxes of ornaments that I haven't used in the last few years that would be perfect for this project. Your decorations look festive and cheery. Hang in there with your little man,(not that I ever thought you would do otherwise). I will pray for your sweet family. I so enjoy what you post, your raw honesty is so refreshing. I am a counselor by profession. I love your heart work. I immediately got out my journal and asked what I needed to deal with. So many fail to do the work of feeling the hurt and of forgiveness. The end up numb, the worst are addicted, depressed, hopeless. Invite thenHoly Spirit to come open your eyes and ears that you may be able to hear him answer your heart's questions. I am constantly asking for more. Bless you this holiday season! More pictures of the dog please. We just got a 2 year old yellow lab. He is fabulous. Love that wreath! I'm finally getting into bright and cheery colors at Christmas....It's a big step for me! I really love the traditional deep reds and greens and golds. Despite the stress your weekend does sound pretty great! You guys put so much effort into loving both of your kids. It's definitely inspiring. Your little man is growing up so fast....Yet, he still needs so much! Glad you know God's right there with you! girl. i think God wants us to feel at a loss when it comes to raising our kiddos. cause then we run to Him. or at least that's my motto since i don't know what i'm doing. : ) you are so amazing. i love your orderliness when it comes to planning ahead. i am happy to say that i have all of my shopping done except for our Hunter. phew! such a relief. i love you pop of color wreath. looks so gorgeous, as do all the pretty touches. i could definitely get cozy in your house! Very Cool wreath! We spent the weekend decorating as well.... i just had a disappointing moment of the weekend when my husband informed me i got a dud box from home depot and my flood light that was supposed to shine on my door wreath would not be happening.... now gotta run back in! and ewww on the spiders... seriously i would have died! The wreath is gorgey, but what I really want to know about is your SWEATER! That gray Varsity-ish one peeking out... LOVE! Well a time out is looming straight away for me too. Can hardly wait. Wish I could disconnect from every thing but then I'm sure I'd feel depressed. Bummer about the spiders. That would do me in. You know I hate spiders! Love the wreath. Color makes me happy. Yes I hear ya... let's connect this week and we'll discuss our timeout together. I need a good visit in the worst way! I came over here from sweet Deborah's blog. You have such a wonderful blog filled with many creative ideas. Love the Christmas trees. What a great wreath so shiny and bright, I've started decorating outside on the porch tree next week. Can't wait to see more of your casa you always deliver. I recently found your blog and decided I better stop lurking and say hello. Love your pics and posts. Such a happy place to visit here. Your wreath turned out beautiful. I did a similar one but used a premade greenery wreath as my base. Your tree is darling...I can see why your family fell in love. Wish we could get fresh cut Christmas trees down this way but if there are spiders maybe it is better if I keep using the fake one (shuddering). I am so with you on collecting those vintage ornaments (one of my favorite things). BTW I love your header too. OMG-ahhhhh! Im a big pre-holiday shopper myself (nice to not have to worry plus its nice to shop all year long and not have to stress teh wallet in December) but you have all your WRAPPING done? DANG woman, I am impressed! SO impressed. Seriously. Go you! And on the tree and the spiders...one reason I don't want a tree each year is because I'm terrified it will have roaches in it. (I live in TX) I would CROAK. I'm not even kidding. So, I hear you on that one. The first year we were married - 15 Christmases ago - we bought a live tree. It was beautiful! And it was FULL of millions of tiny praying mantises!! My word, they were everywhere. So I get you on the spiders, but you win for the yuckier bug! Your wreath is gorgeous! Thanks for explaining it in such an easy way. Love your realness. And your wreath. Bless you this Christmas season! I'm struggling with the speed that Christmas is flying toward us!!! I was/am so not ready to decorate by my youngest son is somewhat of a Christmas Elf - this is truly HIS season, so how could I continue to deny him!! Yesterday after church we set to work! It was hard. I have control issues when it comes to decorating but I have to open up my hands and let go. We're getting there!! Still need to bring our trees down! Your home looks wonderful!!! I love that adorable and easy wreath!! How fun!!!!! What a great idea having your shopping done score Thanksgiving. I love that! I am definitely starting that next year. We all head out at once and get three gifts for each other. Just like the wise men brought three gifts for Jesus. My husband is responsible for filling the stockings and I make sure the decorating is done. It has gotten harder as the children are in college now. This year they have done their shopping and I am doing a handmade holiday. Love your wreath and look forward to you sharing the rest of your decor. you never cease to amaze me, i wish i would get it together to do all my shopping, not to mention your impecably clean house! love the new wreath. thank you for sharing the good and the bad. Be encouraged for God always has a plan. I just have to say that I love your blog! Your house is so beautiful and that wreath is gorgeous! I can't believe it was made with a coat hanger. I wish I had my Christmas shopping done - I haven't even started yet! 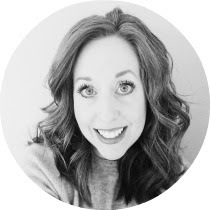 Your blog is great and I can't wait to see what you do next! I love your blog, pictures, jouranls, etc. It is so refreshing to read someone's honesty, transparency and spiritual journey - what an inspiration to many! Keep up the good work - you truly bring Glory to our Lord! We usually get a real tree every few years, but mostly have an artificial one. however, they need to be thrown out every 5 years because they start to decompose and are not good for your health when they start to do this. that being said, I am thinking I may not get a real one for quite some time. spiders~eek! I was bit by one about 6 years ago and ended up in the emergency room bc my leg swelled up! JJ is so adorable! don't you wish they came with manuals when they were born? :) love the wreath, so pretty on your door! this down time has gotten my attention for sure. He is just so much more important than all THIS...life..crazy hectic ... ugh i don't know. I am praying now and wanting to begin the first of the year after all the holiday craze..will you pray with me? That last picture of the open door and JJ with the dog just DID. ME. IN!! I know that that sweet child is miserable, too, and I'm praying God's blessings on you both. You will have to keep us posted on your new bible studies. I am also longing to hear God's voice... and praying for the grace and strength to respond.